Democrats on Wednesday afternoons between 1:00 – 4:00 PM. The cup of coffee is on us! Winnebago Dem office. Spaghetti and breadsticks all you care to eat! social hour from 4:30 – 6:00 p.m.. Dinner begins at 6:00 p.m. with special guest speaker. An extraordinary basket raffle and a 50/50 drawing will conclude the evening. Purchase tickets at the office or on ActBlue website …soon. Details will be in the next newsletter! Help us continue to increase our social media presence on Facebook and Twitter. 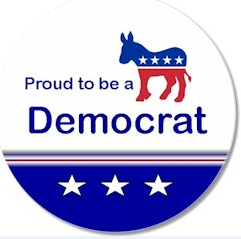 You can find us on Facebook at “Winnebago County (WI) Democratic Party” and follow us on Twitter @WinnebagoDemsWI. Please go to www.myvote.wi.gov to see what is on your ballot, find your polling location, register to vote, and update your name and/or address. Copyright Â© *2019 Winnebago County Democratic Party, All rights reserved.